Adopting the flourishes and meticulous details evocative of the Art Nouveau style, Van Kempen has fashioned a piece that makes a chic and elegant statement. 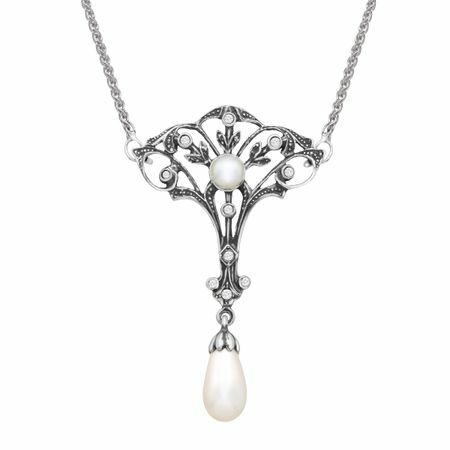 Scrolling floral patterns accentuate lustrous simulated shell pearls and brilliant Swarovski crystals in this sterling silver necklace. Piece measures 1 7/8 by 1 inches with a total length of 16 3/8 inches.